The letter box combines two qualities - high capacity and tasteful design. The letter box is made of pure stainless steel and finished with a hand-wiped surface. The linear rectangle shape forms a beautiful arch on the top to. A wide letter slot allows post sized up to C4 to be inserted. Post collection is facilitated by an opening stop mechanism. 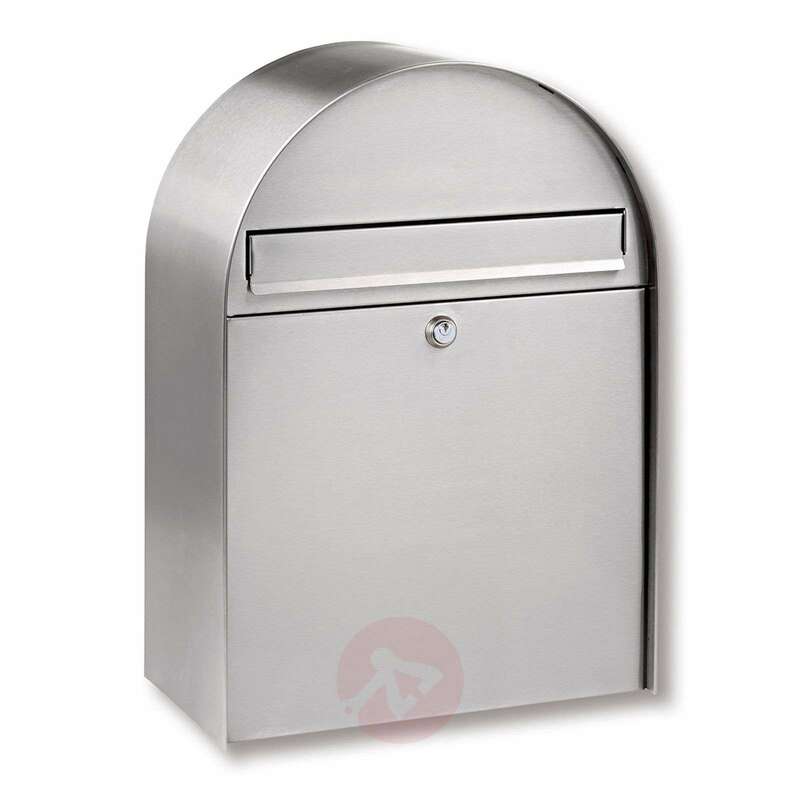 With a height of 56 cm and 38 cm width, the letter box offers plenty of space for newspapers and post. It can be installed on a wall or can be placed freely. For this purpose, a suitable round arch support is available as an accessory - also made of stainless steel.